General Federation of Nepalese Trade Unions GEFONT Province No. 3 Women Workers Gathering has been concluded in Academy Hall in Kathamndu. Gathering has formed 15 members GEFONT Province No. 3 Committee under the Convenorship of Cde. Indira Acharya. The Gathering has inaugurated by GEFONT President Cde. Binod Shrestha. 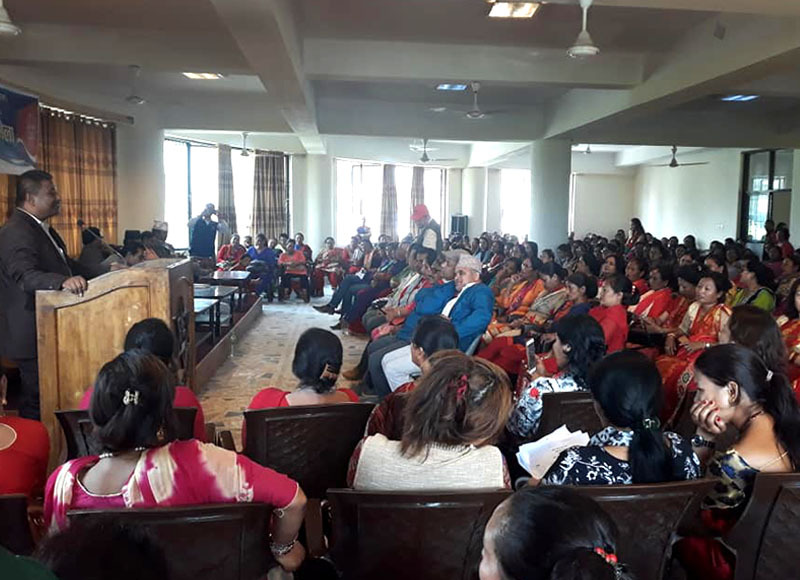 Addressing the Gathering Chief Guest President Shrestha Said “Today’s women participation in Trade Union is the reason of continuous effort of 30 years, But still it is not satisfactory as per women involvement in world of the work. He further added, for significant achievement we have to organise more women. He has also shared experience of organizing workers in work place on the different festival occasion. He has emphasized Teej can be one of the good occasion to reach among women workers and organise them in Trade Union. Addressing the program Deputy Secretary General Cde. Gita Karki Said “Women committee is the appropriate place where women members can have open discussion and solve women related workplace issues”. GEFONT Province No. 3 President Ramhari Nepal Briefed about newly formed committees of the province. He has heighted that in each new committee 33% women representation were ensured. The program was conducted by Province Secretary Arjun Aryal in the program NEC members of GEFONT and leaders of affiliates were present.